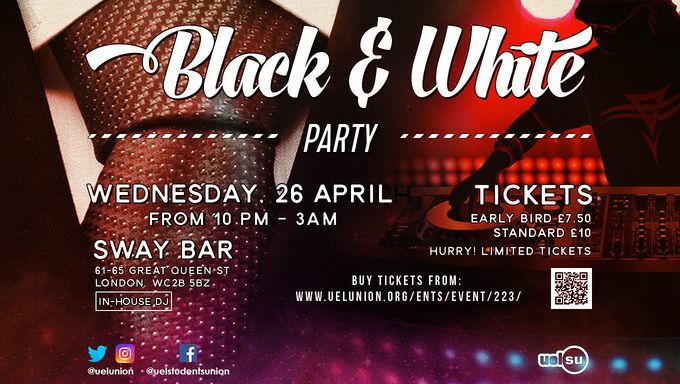 Celebrate with us in style as we approach the Student Awards club night - Black and White Party. Doors will be open from 10pm - midnight. When: Wednesday, 26th April 2017 10 pm - 3 am. Want to bring a guest? No problem. Make sure they have a ticket too. Students must bring a valid student ID card and official ID (passport, driver's license). Guests must bring an official ID. Dress code: Dress to impress. No trainers.